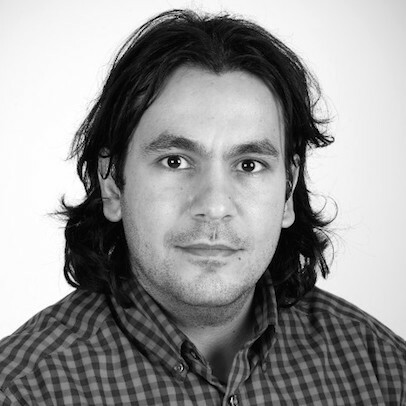 Dr Mahdi Aiash is with the School of Science and Technology, Middlesex University. Dr Aiash is involved in a number of research projects nationally and internationally. His main interest is in the area of Secure Future Internet, Network and Cyber Security. He is a computer security researcher & practitioner with industry, academic, and research experience. He is an active contributor to the academic as well as broader international community working on Information and Network Security issues. Dr Aiash has published in excess of 50 peer reviewed papers in prestigious journals and conferences; he is a recipient of a number of "Best Research Paper Awards". Dr Aiash presently maintains nearly two dozen certifications including Ethical/White Hat Hacker, Licenced Pen-tester and Information Security Officer. He has also conducted workshops and corporate trainings around the world apart from his speaking engagements. Doctor of Philosophy (PhD) in Security and QoS for Heterogeneous networks , 2012. Master of Science (with Distinction) in Computer Networks and Secuirty, 2008. Computer architecture and programming (low-level and high-level programming). Computer Systems Architecture and Operating System (Module Leader). Security of Computer Networks and Information Systems. Security Protocols: design and verification. Future Internet: Internet of Things (IoTs), Software Defined Networks (SDN) and Information Centric Networks (ICNs). Virtualization and Cloud Computing and Big data. Pervasive Communication and Heterogenoues Networks. Miss Rand Raheem: Performance Analysis for Mobile Femtocell in LTE Technology. Mr Frangiscos Sardis: A Novel Approach for Service-Migration in Cloud Computing. Mr Ali Raheem: A Secure Handover Protocol for 6LowPAN. Mr Thamer Alghamedi: An Integrated Security framework for Communications in IoTs. Hassan, Muhammad Ali and Vien, Quoc-Tuan and Aiash, Mahdi (2017) Software defined networking for wireless sensor networks: a survey. Advances in Wireless Communications and Networks, 3 (2). pp. 10-22. Best Paper Award Winner : The International Conference of Wireless Networks 2011. PhD scholarship. Research topic: Security Framework for the Y-Comm Mobile Communication Architecture 2009-2012. Vast 2012 Challenge Award 2012. Best Paper Award Winner: The IEEE International Conference on Trust, Security and Privacy in Computing and Communications 2012. Collaboration with the University of Sao Paulo, Brazil: Developing an ontology for Vertical handover 2009- 2013. Collaboration with international consortium in the area of Cyber Security 2014-present.